Rumor: Apple Will Unveil AR Glasses This Year | Nerd Much? First rumored from a series of patents that Apple filed and became public last week, Apple’s AR glasses are rumored to come into fruition sooner than anticipated. Due to a partnership, as reported by the Laura Kate Dale of the tech world Robert Scoble, between Apple and Carl Zeiss. Carl Zeiss is a German company that manufactures optical systems, industrial measurements, medical devices, and Zeiss VR One Plus headset. This partnership, according to Scoble, heralds the possibility that Apple will unveil AR glasses sometime this year, rather than the previously predicted 2018. 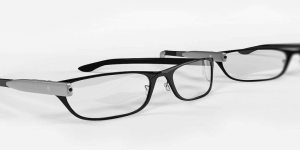 These AR glasses follow the already long line of similar technology, like Google Glass and Spectacles by Snap. Though some might hope Apple will make something more affordable and with a wider range of features, I highly doubt this will be the case. Apple has a reputation for over-priced, but simple technology aimed at a very specific consumer. But that isn’t to say its design won’t be sleek and far more fashionable than previous editions. Would you buy AR glasses from Apple? What kind of features do you think it should have? Let us know in the comments below!